Pellet burner Atmos A45. 8,5 - 49 kW. 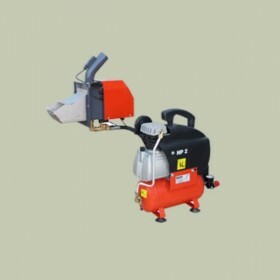 An advantage of the pellet burner is the automatic ignition of fuel with a glowing spiral. The glowing spiral may ignite the pellets whenever it is necessary to make a fire. 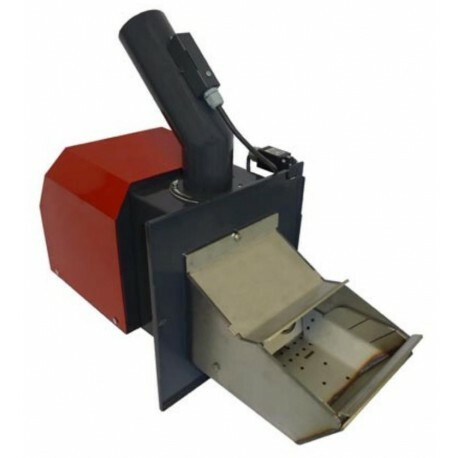 The pellet burner is not intended for dark pellets which cake the burning chamber of a burner. 1 868,87 € tax incl. 2 336,09 € tax incl. If you do so, the comfort of heating would be lost, and it would be necessary to clean the burning chamber of the burner every 1 to 3 days. The pellet burner is only intended for quality white pellets of soft wood without bark with a diameter of 6 to 8 mm, length 10 to 25 mm and calorific value 16 to 19 MJ.kg-1.